My recovery is long, it was thought I had to undergo surgery, but operating room was avoided thanks to a stem cell implant, so the improvement is slower, said Yunidis Castillo, multiple paralympic champion and world record holder. 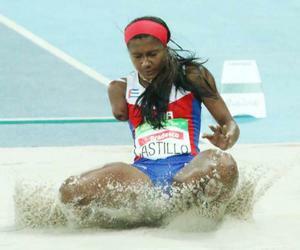 Known as "Daughter of the Wind," the sprinter of the T-47 category (upper limb amputated) had to withdraw from the competitions of the Rio de Janeiro 2016 Paralympic Games, where she won a silver medal in long jump, but later she was injured and could not participate in the women´s 100, 200 and 400 meters events. I am now focused on the recovery, I do not want to rush, I probably will not attend the World Championship in London next July, Castillo noted. On the current competitive quadrennium and the Tokyo 2020 Paralympic Games, she said it is in suspense for now. I will recover the strength of my leg, the tone it normally had, my child Gabriel is my inspiration, the driving force of my life, I thank the people of Cuba, and especially the one from Santiago, all their affection, they should always expect the best from me, I wish them many beautiful things in this year, she added.